Viral video shows several Defense of the Ancients (DOTA) players and other customers being robbed by two armed men inside a computer shop. Facebook user Tone Cereno posted three videos that captured everything that transpired on the evening that the robbers — one was holding a pistol and the other a knife — struck the internet cafe and took the money, smartphones, and personal belongings of its patrons. The incident happened in Angono, Rizal recently. In one of the clips, a customer got kicked after approaching the man holding a gun. Cereno said the customer at first thought that the act was a joke and the gun was fake but everyone realized later that it was real. The businessman, who was thankful that no one got seriously hurt, reminded his fellow computer shop owners to be extra careful and vigilant. 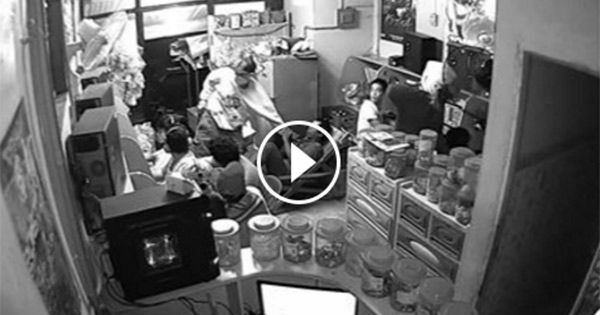 Netizens who saw the video tagged and warned their friends and loved ones who are fond of playing games at computer shops during night time. As of posting, the robbers remain unidentified as their faces were covered while committing the crime.